Reception Help Needed in The Caribbean Coast of Colombia! Inti and Luna are brother and sister who were born in a small town called Manizales. Which is part of the coffee region located in central Colombia. They moved to Canada when they were young. Always having an interest in building, Inti went to University in Canada and graduated with a degree in Architecture. Luna studied Psychology and Marketing. 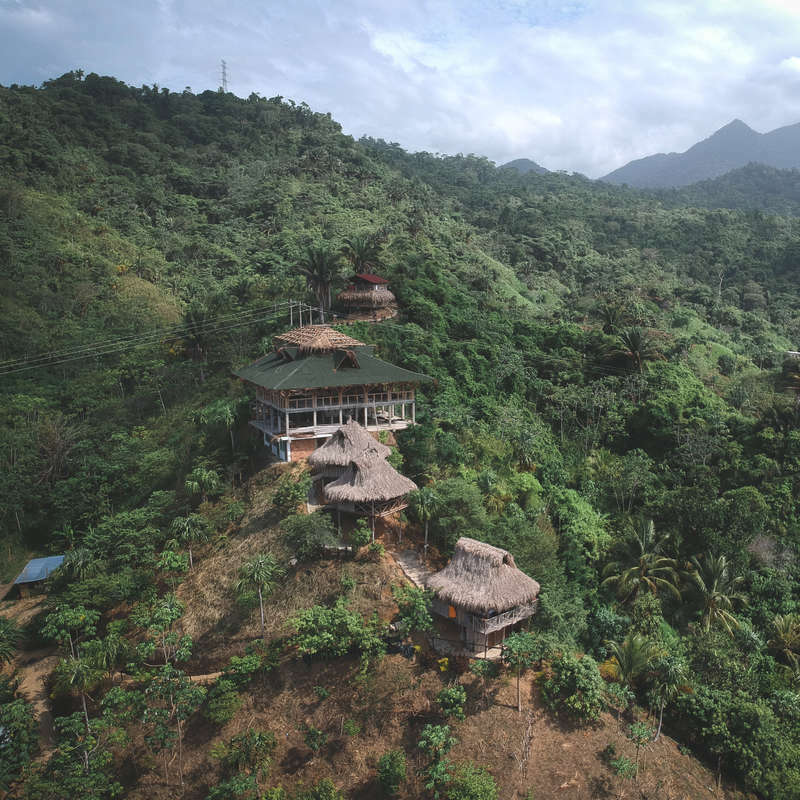 Combining their passions for traveling, culture and building - They came back to their roots in Colombia and are building a hostel in the foothills of the Sierra Nevada, on the Caribbean coast. Come and be a part of something incredible by helping build a haven for travellers and worldly adventurers like yourself. In return - we provide accommodation, 3 meals a day, and an overall fantastic experience to make life long friends. Come and learn about the local culture, be immersed in nature, practise Spanish, and meet people from all over the world! We want you to come and feel like you've left your mark on our hostel and its development. We want to hear about your strengths, areas of work, areas of studies and any additional hobbies or interests you have. This requires a commitment of 1 month. You’ll need an outgoing personality, eagerness to motivate people, & of course friendly. If this position interest you, message us with “ Event Coordinator” as the header and we’ll talk further. Well organized, good with computers. Team player, friendly & a positive attitude . Your tasks and shifts will depend on what you excel at. We are looking for people with relevant experience in hospitality operation. We are constantly open to new ideas and want our volunteers to voice their suggestions so we can always be growing as a hostel. Since we are still very much in development, volunteer feedback is incredibly important to the success of our hostel. On your days off, there are endless activities to do around the hostel. In our free time we like to visit the stunning local beaches and rivers, go hiking with monkeys, and of course the occasional fiesta. You are also free to head out and explore Santa Marta (Colombia's oldest city), Tayrona National Park (just a 20 minute walk), and many other near by towns like Guachaca, Buritaca, and Palamino. We provide accommodation in our volunteer house (bunk beds, sheets and pillow included, air conditioning, ensuite bathroom/shower). Luna and Inti were great hosts and I had a really great time volunteering at the hostel for 3 weeks. The work is not to stressfull and you get to know a lot of interesting people from all over the world:). 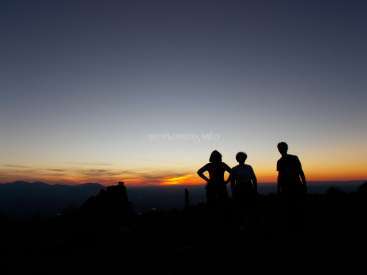 The Hostel has an amazing location with beatiful sunsets! Also the food was very good and you get to practice your spanish with the staff if… read more you want to. I definitely recommend volunteering here and thanks for everything!!! Absolutely loved my time here! The work is easy and not at all stressful, everyone helps out and works as a team. The staff are lovely and give you an opportunity to practise your Spanish. There’s plenty to do in the area in your free time, and it’s also close to places like Minca and Palomino for your days off. Highly recommend volunteering… read more here, it’s the perfect place to chill and take a break from travelling. Kara is an amazing worker. She is dedicated, focused, kind, efficient, outgoing. We loved her and she was amazing with guests. Kara is the type of person who is willing to lend a hand to anyone. She quickly adapted to our system and completed the tasks given to her. Kara will be missed we were all sad to see her go. I definitely recommend her to… read more anyone. Emily has a super energetic, easy going personality. She is a quick learner and is willing to do any task you throw her way. I would recommend her to anyone and would be glad to have her back! Sorry I'm just now doing this! I stayed here back in July for about three weeks. During that time I had an amazing stay. I worked as a receptionist checking guests into this jungle castle. I got to explore all over the area during my stay including Tyrona, Casteno, Minca, and more place. This is a great place to volunteer if you want to explore… read more the Caribbean coast of Colombia. Everyone was so welcoming and friendly. Thanks for everything!! I have been here for three weeks and I had an amazing time. I had the chance to work with customers and also with social media thanks to Luna and Inti who tried to give us tasks based on our skills. The food was amazing, because of the magic of Celeni in the kitchen! We were a great team there ! Thank you for the time in Tayrona! P.S. If you love… read more mangoes, it is the right place to go. Enjoy your stay there, you will definitely not regret it and don't forget your mosquito repelent ! We volunteered here for 2 and a half weeks, this was our first Work Away experience and it was a very positive and fun start to our journey (pun intended!). We loved our time here and feel priviliaged to have had the opportunity to help out! We wish we could have stayed longer but unfortuntely had a pre-booked flight to catch. We helped out on… read more reception and with the construction, both very rewarding and fun experiences. The hostel itself is absolutely beautiful and in the perfect location, close to the beaches and Tayrona. On our days off we were able to explore the local area and stay at neighbouring hostels. The food at the hostel is absolutely delicious and portion sizes and very generous. The staff were very supportive and fun, big thanks to Inti, Marina, Henry and the kitchen and building staff for making our stay so enjoyable! If you have the opportunity to volunteer here... take it as you won’t regret it! I had 3 delicious meals a day and I worked 6 hours a day, 5 days a week. I got discounts for tours around the hostel and could even stay for free in minca on my days of. So in total I had a very nice time there. The only thing was that the accommodation was hard to deal with. If you have fixed the sink and the toilet by now I can recommend to stay… read more there. Henry and pepe are two Colombians who work there. It's the best to hang out with them. Both of them have a big heart! I really miss you guys! Then there where the two owners. They are really nice. If you have a problem you can come to them and they will talk about it with you. Thank you all for giving me a great time in your hostel! I took me some time to leave a feedback (yes I was there in april, shame on me...) BUT this place deserve a 5 stars rating. I spent awesome time building the new space of the hostel. Too much laugh and dance. Crazy parties on the beach all night long. I learnt a lot there and I can't wait to come back and see how is the hostel now with large… read more construction we made. Don't forget me, because you can be sure I will be back for more clumsy action! I spent a fantastic couple of weeks volunteering at this hostel and getting to know the jungle. Inti and Luna are really welcoming hosts, Peke is an amazing chef and there's always a nice team atmosphere. The reception work is engaging and you get to explore the incredible scenery in your free time. It's also a great chance to practise your… read more Spanish, would definitely recommend! Pheline's enthusiasm fit right into our little family. 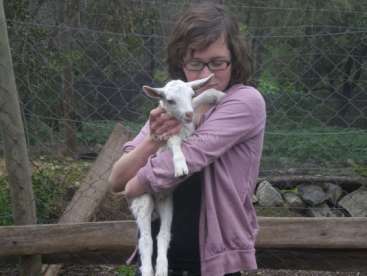 She stayed with us for 4 weeks, she was eager to help out and a quick learner. Pheline travels with her drone and camera gear, she was more than happy to help us create a video for the hostel. She also took some incredible pictures of our property which we're so grateful for. She's a sweet… read more bubbly young girl who worked well with a team and was welcoming to all guest. I'd definitely host her again and gladly recommend her. So I stayed in this incredible place for 1 month and it was my first Workaway which couldn't have been a better one! I worked at the reception 6h a day for three weeks and in my last one I took pictures and made a video from the hostel. The crew is amazing, so is the location and everything else. There's is so much to do you can explore the whole… read more coast from Santa Marta til Punta Gallinas- you won't get bored! It's also a very good place to learn Spanish if you want to. Thank you so much Inti and Luna for letting me be a part on you and your fam, you guys rock and I can't wait to come back to hang around in the pool once it's finished. 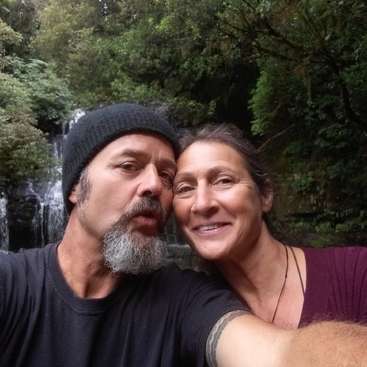 This hostal has great energy and Inti and Luna are very freindly energetic hosts. I worked in reception for two weeks, be warned the late and mid shift will always go over 6 hours. The hostal is a work in progress although construction has halted for peak season and the sink in the volunteer bathroom has yet to be connected. 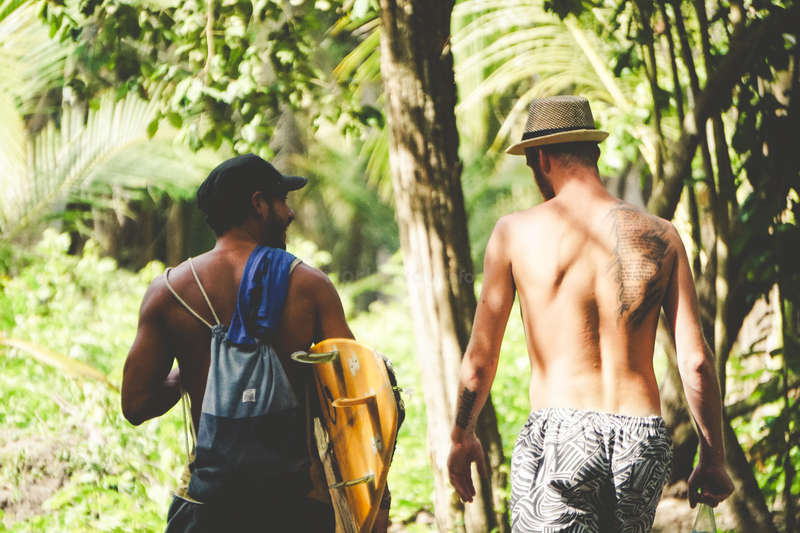 I would reccommend… read more renting a motorcycle on your days off or going surfing in your free time. There are lots of ripe delicous mangos everywhere to eat, the granola in the morning is delicous as are the meals, especially fajitas and curry chicken. Inti, Luna and the rest of the staff were very helpful whenever I couldn’t figure out what I was supposed to do or the hostal was especially busy. Overall a great experience. Cathal and Matt we're a great addition to our family. They helped us with our roof. They were very supportive and willing to tackle any task given to them. We hope to see them again in our near future! I would recommend them to any other host. Thank you guys for helping us out! The staff are also an incredible bunch of people. I won't mention everyone but shout out to Don Juan. The man is a machine! Also to Milo, papo and suki. Those dogs made me so happy. It was really nice to stay at this Hostel!! Kerri and Nati were exceptional volunteers. They became part of our little family straight away. They tackled the tasks that were given to them in an efficient matter. They are both fast learners and deal well with a fast-paced environment. They made our guest feel welcomed and over all they carry a great atmosphere. They will definitely be… read more missed. We're already looking forward to their return. This place is amazing, one of the best workaways ive ever done. Inti and Luna and the family are awesome. Thank you so much for letting me and Nati be apart of the place. This place is paradiso in one of the most beautiful and special parts of Colombia. Never change guys! All our love to you guys and the animals especially Suki, hope shes… read more still keeping Peki warm at night. Clem is an incredible worker. She has great work ethic, great people skills, and is motivated and up for any task you throw her way! She really impressed us, Clem has the ability to think on her feet and is an amazing problem solver. She is very easy going and like I said up for anything! We will miss her loads and hope to have her come back! I… read more would recommend her to anyone. First, the team is really nice, they are eager to hear any ideas to improve the hostel and will do anything to make your workaway a great experience. 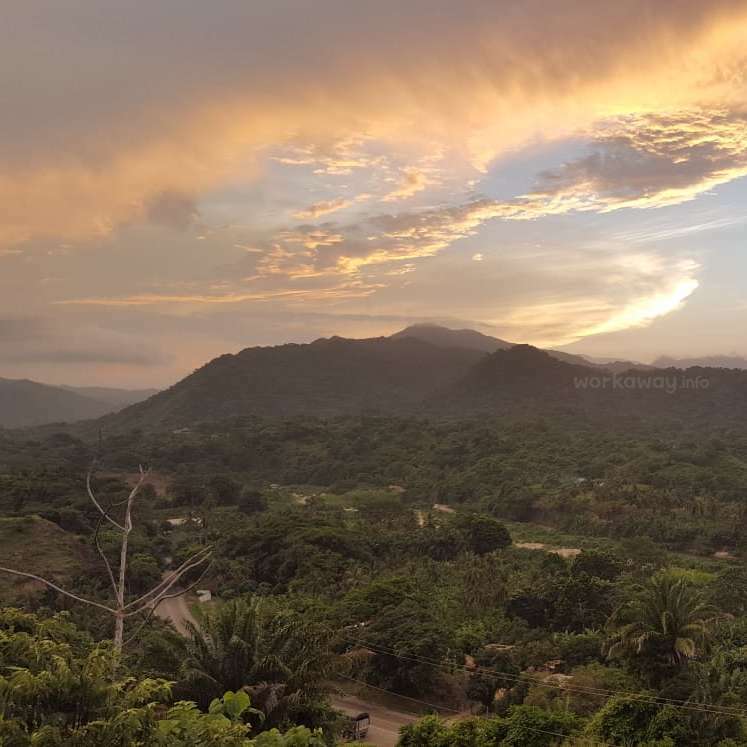 Second, the location of the hostel is amazing: you have waterfalls, Tayrona park, beautiful beaches, a river nearby which… read more will for sure fill up your free time! The 2 days off a week will give you the opportunity to visit nearby cities such as Palomino, Minca, etc. Jade was a no show, didn't warn us. We reached out to make sure she was alright and she never replied. Justyna is a free spirit, she is a very intelligent and open minded person. She picked up our system very quick. She was great with interacting with our guest and making them feel at home. Justyna is very productive and gets all her given tasks done. I would recommend her to anyone. Thank you again for being a part of our team. My stay was just amazing!!! I really love this place and some part of my my heart stayed there. At the very first moment I felt like a part of a big family. 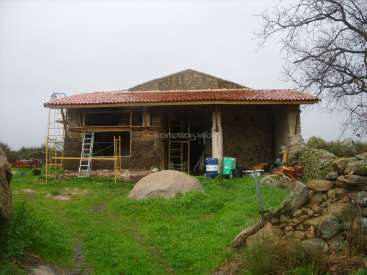 The location of the hostel is really unique, for nature lovers it will be a real paradise. The atmosphere is fabulous, by common meals, talks, there is a strong connection between guests and… read more workers. Working with Inti and Luna was a real pleasure, I could learn a lot from them. In the end of my stay I had a big dilemma, I did not want to leave! I really felt like a part of them . I recommend for everyone this workaway experience. Luisa was a great addition to our team. She is incredibly outgoing, positive, hardworking and dedicated. She completed a couple of carpentry projects for us and helped us in reception. She really took the time to bond with our guests and make them feel incredibly welcome. She also taught us how to Salsa! Luisa is an incredibly talented and kind… read more young woman. We hope that you come back sometime and visit! You are always welcome! This was my first workaway experience and I'm so thankful that I got to do it at this hostel. I volunteered there for about 3 weeks, it was such a good experience and I learnt so much from it. The people, the food, the location, everything was great. I wish I could have helped more in the building area, but they encouraged me to be creative, and I… read more really appreciated it. Thank you guys for everything!!! Tyson and Isabel were absolutely amazing! These two work extremely well together and also apart. From the moment they walked into the hostel we started noting changes. We had given them a list of things we wanted changed/ repaired and they automatically began to work. Tyson did some beautiful tiling in our bathrooms, that we will forever be… read more grateful for and they were able to succeed with a low budget. We'd have them back in a heartbeat. We miss them very much. The Hostel was an absolutely magical place, and our hosts Inti & Luna were fantastic. If we hadn't already had other commitments, we would have stayed longer! The property is beautiful, with the most amazing views, and the food was equally amazing, thanks to the chefs, Milena & Marta. Regarding the volunteer work we performed, our skill was… read more specifically construction related, and I really appreciated the fact that we were given a lot of freedom to be creative. Of course no volunteer experience would be complete without the other volunteers and guests that you get to meet and work with, and at this Hostel, both were equally amazing! This was truly a life changing experience, thanks to Inti & Luna's efforts, and their friendly and enthusiastic personalities! I look forward to returning for another unforgettable experience! Thanks for your hospitality and a magical experience Inti & Luna! Jon & Kirsty were a great addition to our team! They are both incredibly hard workers that genuinely cared about the development and success of the hostel. Jon built us ladders for our bunk beds as well as a cement/stone pathway leading to our reception area. Kirsty has been one of our best bar staff, who always provides a positive atmosphere for… read more everyone in the room. We shared many laughs with them and will miss them dearly. We wish you the best of luck with your future travels, and you two are always welcome back! We hope to see you when everything is finished! Thanks for everything! Nicolas & Mathieu were a great addition to our team here. With their positive attitudes, initiative to learn, and willing to lend a helping hand - were all very much appreciated. Would gladly have them back. Have an amazing trip down south and stay safe! Staying at this hostel as a volunteer is like being a part of a family except there is no mom or dad who tell you not to this or that. The owner Inti is such a great guy who knows the importance of telling people that they are doing a good job. And the hostel itself is beautiful and have one of the most fun, sociale and friendly vibes we have… read more experienced in all of Colombia. Me and my girlfriend stayed here in the beginning of July. We coocked two times a day for all the guest and we wrote some content for his TripAdvisor-page. The hostel is still being developed so if you are interested in being a part of a dream in the making you should seriously consider signing up for this. Once again - huge thanks to Inti and all the other WorkAwayers that stayed there while we did. I spent 2 weeks volunteering with Inti and other volunteers. And I enjoyed my time there so much!!!! Inti is a very great and friendly person. His hostel is still in construction and is very nice. You ll find a good atmosphere and great energy volunteering with him. Thank you Inti for everything and see you one… read more day. Thank you Inti and Jen for these amazing 10 days. You guys are doing such a great job and we really liked working in the hostel. Give our best wishes and a big thank you! To milena and alejandra and of course to chiqui :) Matias was very sag to leave him. 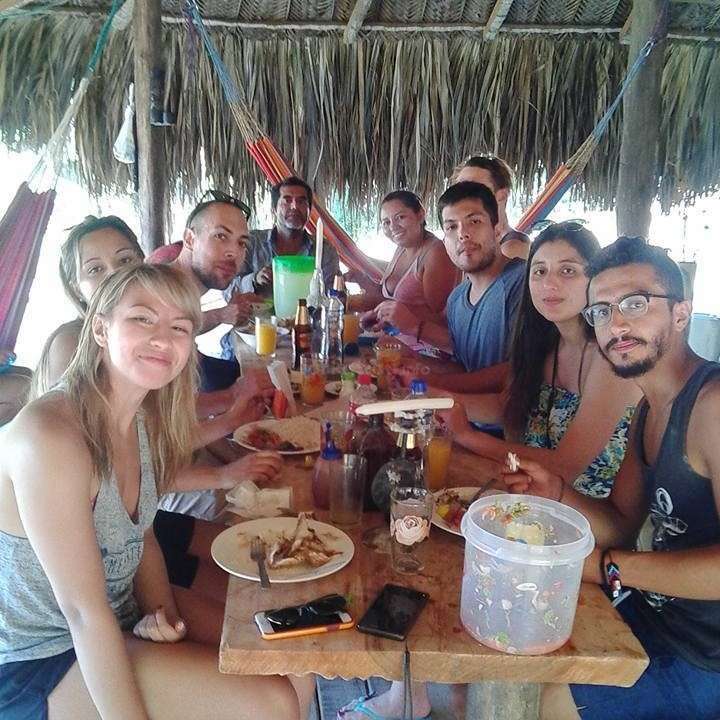 The hostel and the location in the middle of the jungle is a great place to make new… read more experience and meet people from all over the world. We wish you guys the best for the future and we will defenitly come back to see how it goes with this awesome project! Keep doing a great job, this place is aomething special and everyone can see the effort you guys make! :) thanks for hosting us! The hostel is such an amazing place to volunteer. Your days are full of people, good vibes and beautiful nature. Inti and Jen are great hosts. It isn't long until you feel like family here. I stayed for a month and have learnt a lot about hospitality. I loved them. They where very professional. They dealt with money, guest, food and i couldn't be happier with there professionalism and there attitude. I was so sad they left they stayed for over a month and my maximum is 2 weeks. I recommend them to the max.. Thanks to all the people who made my first workaway experience incredible! This place is definetely amazing, keep doing what you are doing! Ive had an amazing time here and i would recommend everyone to come here. the team consinsts of great people and everyone tries to help each other where they can to make this amazing project happen. The athmosere is super chill and relaxed but they sure know how to party too. youll get a breathtaking view from the cabins, a beautiful river just… read more across the street, and probably the most beautiful beach youve ever seen. I volunteered here the past 3 weeks and i can easily say that out of my 4 months travelling from Mexico through all of Central America and Colombia, the 3 weeks here was hands down my most fun and overall best experince! 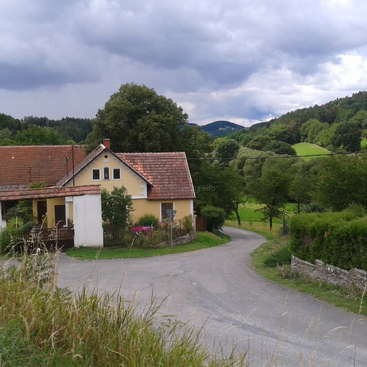 Inti has himself a gold mine with this property and hostel! It already has such an amazing environment and great people. 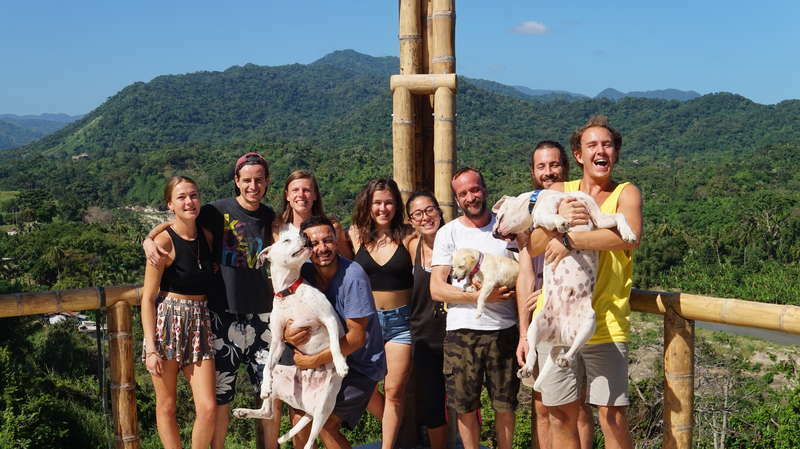 Do… read more yourself a favour and take a couple weeks out of your travels to volunteer at this hostel: a) you wont regret it, and b) you wont wanna leave! Thanks for everything Inti, love ya brothaa! We are always looking for a hand around our house and garden in the countryside of Bayreuth, Germany.